The future of many companies depends greatly on the quality of the new college grads they hire. Unfortunately, these young people often have very little relevant job experience, compounding the usual problems with verifying claims on resumes or checking references. Given the importance of these new hires to your company, it’s more important than ever to go beyond the resume and do the background checks to make the best possible selections. Recent college grads generally have two kinds of experience that shape how they might perform as employees. First, the obvious one is the training they have received in four (or more!) years of study leading to a degree. Your job postings will always reflect this in specifying educational requirements, which may include a certain certification or exam performance. A degree will often imply knowledge or skills that can be evaluated. The second, harder thing to evaluate that every grad brings, is how well they have acquired the intangible adult characteristics we associate with success. You can begin to learn about these factors through their experience in temporary or part-time jobs, or in other kinds of organized, task-focused efforts with specific objectives. It’s not straightforward to connect that summertime job as a life guard with excellent contributions in a more formal work environment, but there are lessons to be learned by the pool. This one is obvious. Verifying educational credentials is a basic part of every background screen you do, with or without experience. But for recent grads, it is especially important because there is less going on in the applicant’s non-school experience to offset second rate performance or a degree not quite right for the job. More generally, verifying the recent grad’s whereabouts and activities over the past few years is an important baseline in getting to know them. It’s easy to give too much weight to an IQ test, but there’s no doubt that it is better to be smart. Test scores—and in some cases, even actual IQ tests—will exist in most grads’ school records going back to high school, and these will give you a first glimpse of innate and acquired ability. Inquiring about applicants’ performance in team or group activities where you can infer something about their ability to solve problems, especially working with others, is very useful. These kinds of issues can be probed in application questions or interviews. When there is very little on-point track record to judge an applicant by, the crucible of character becomes more important. What you mean by “character” can be hard to define, but we generally know that leadership, trustworthiness, or reliability, initiative, follow through, and creativity are traits we value in good employees. The recent grad’s advisor may be able to help by volunteering information about how the grad pursued his or her studies. You might want to determine whether applicants joined and participated in organized groups, evaluating what roles they played in organized groups, and whether they contributed to the success or failure of the group. Furthermore, a clean driving record can be an indicator of a young person’s trustworthiness. People who are responsible behind the wheel are probably also responsible in other areas of their lives. Finally, statistics show that young people commit crimes at a higher rate than older people. Don’t trick yourself into trusting someone just because they are fresh out of college and eager for a job. Check for criminal records. Most college grads today have a substantial record as consumers, and this can reveal a lot about their general reliability. If the job in play involves finance, a basic credit check can be a valuable tool to reveal a person’s recognition of responsibility and how well they accept it. It’s true there’s less “background” to screen for new grads, but that means looking more closely at what’s there. 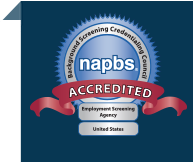 Standard background screening checks like credit, criminal records, employer reference, and educational history are vital guides to making the right choices among these candidates.